Rabbit biocontrol has had dramatic and widespread benefits to Australian agriculture and environment for 60 years, with benefits estimated at over $70 billion. For 20 years only one type of virulent RHDV has been circulating in Australia, to which some populations of rabbits started to develop genetic resistance. Since 2014, with the detection of two exotic virulent RHDVs, and the coordinated release of the RHDV1 K5 strain, there are now four virulent strains of RHDV present in Australia’s rabbit population. This increasing genetic diversity poses challenges as well as opportunities. Unfortunately, there is never likely to be a silver bullet in rabbit management. We know from monitoring studies that the best response is an ongoing one, ensuring that new rabbit biocontrol agents can be released on a regular basis to counteract reduced effectiveness of existing agents due to increasing immunity and genetic resistance. In addition, boosts to existing controls add to their effectiveness, particularly through a horses-for-courses type approach. As such, rabbit management is not about one-off applications of solutions but regular, community-based approaches drawing from a pipeline of new, existing and evolving solutions. A strengthened pipeline of new rabbit biocontrols from within Australia and internationally. Best practice for where and when to apply which strain to maximise viral genetic diversity, based on best science determining what defines success of a virulent field strain. Assessment of a more cost-effective landscape scale rabbit disease tracking tool to support the long-term goals and pipeline solutions approach of farmers to managing the impacts of rabbits. Assess the feasibility of insect vector sampling as an additional more cost-effective tool for landscape scale tracking of rabbit disease activity. Determine diversity and distribution of RHDVs and which viral genes account for high levels of virulence and successful transmission in the field using genetic and functional studies of viral recombinants, which will inform the selection of possible future RHDV products (note development of a new product is not part of this proposal and functional studies of recombinants will depend on obtaining a PhD project for this aspect). A molecular virologist by training, Tanja’s research over the past 15 years has focused on mitigating the impacts of invasive vertebrate pest species in Australia, using both lethal and non-lethal, GM and non-GM methods, targeting a series of species from Red foxes to mice, cane toads and in particular rabbits. Her earlier work with CSIRO investigated the development of virally vectored immunocontraception vaccines for foxes and mice, for which she was awarded the Pest Animal Control CRC Chairman’s medal for scientific excellence in 2004 and 2008. 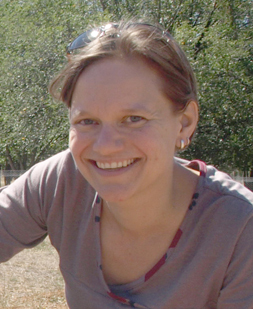 During the past ten years Tanja has driven a combination of applied and basic fundamental research projects focussing on improving our understanding of the diseases used for classical biological control of rabbits. She has built an international track record in the area of rabbit calicivirus biology, ecology, epidemiology, evolution and virulence, which is evidenced in a series of high quality publications and invitations to present at national and international conferences. Intensive rabbit monitoring sites have been established with monitoring well underway at sites in South Australia and the ACT, and due to commence at other sites in Autumn 2019. Sites in South Australia are reporting the lowest abundance of rabbits in more than 20 years, indicating that circulating strains of RHDV are suppressing rabbit numbers. The methods for sampling, processing and analysing carrion feeding flies for the presence of RHDV have been developed and validated. A national fly monitoring network at over 30 sites across Australia has been established and fortnightly sampling has commenced. Analysis of samples from dead rabbits submitted directly to CSIRO and through RabbitScan is ongoing – over 1600 samples have been analysed since the beginning of the previous IA-CRC project RHD Boost Rollout, and ~1000 since the K5 release).